Lot 749. 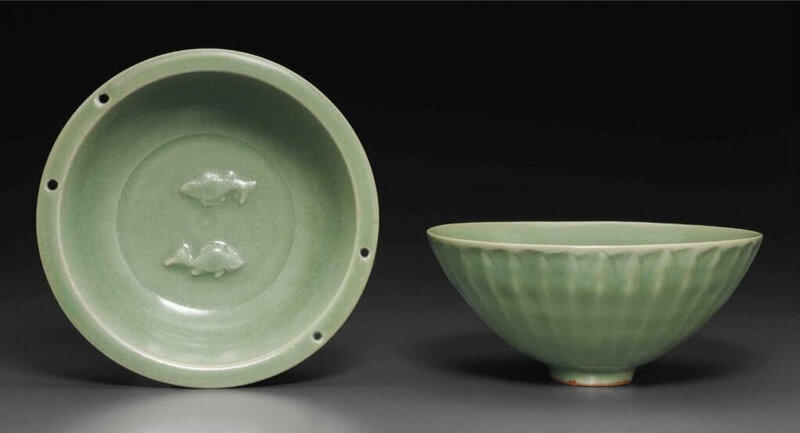 A Longquan celadon ‘Twin Fish’ dish, Southern Song dynasty (1127-1279); 6¾ and 6¾ in. (17.2 and 17.2 cm.) diam. Estimate $4,000 - $6,000. Price Realized $6,250. © Christie’s Image Ltd 2014. The dish has rounded sides carved on the exterior with upright petals below the everted rim pierced for the fitting of metals handles, and the center of the interior is relief-decorated with two fish, all under a glaze of soft sea-green color. 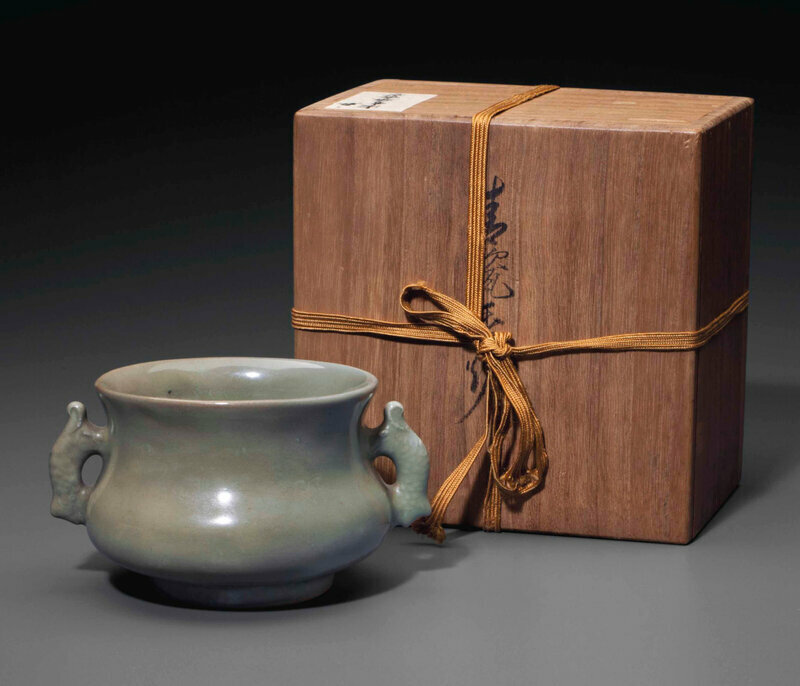 Together with a Longquan celadon, rounded, conical bowl carved on the exterior with petals that rise from the small foot, Southern Song-Yuan dynasty, Japanese wood box. 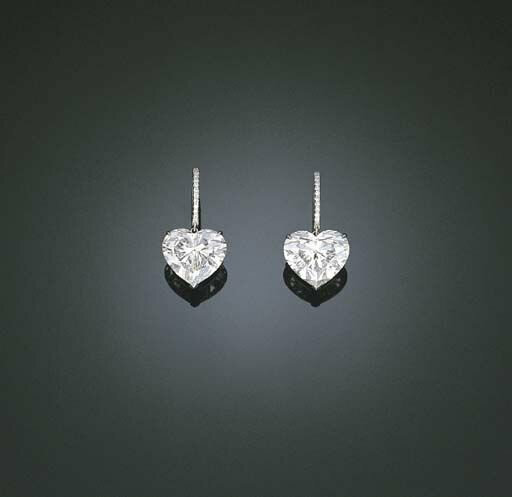 Provenance: A Japanese private collection, acquired in the 1990s.